In this trip, you are going to witness the spectacular view of the UNESCO World Heritage Mount Fuji, cruise on the pristine water of Lake Ashi, take an aerial ride at the Komagatake Ropeway, and experience the famous Japanese Shinkansen on your way back to Tokyo. Ready for a day packed with these unforgettable experiences? You will begin your day with a comfortable bus ride from Tokyo to Mount Fuji 5th Station. Enjoy the fresh air here while taking your time to photograph the incredible scenery. On a clear day, you will be able to catch the beautiful view of Japan's highest peak! If you are not that lucky, don't worry, there are many more great opportunities to capture it during this trip. Your next stop will be Hakone National Park. You will board on a short cruise in Lake Ashi to catch a different view of Mount Fuji and the surrounding mountains. Did you know that the lake was created from a volcanic eruption of 3000 years ago? After the cruise, your local guide will help you get on the Komagatake Ropeway ride that takes you from the shore of Lake Ashi to the Komagatake peak of Mount Hakone. The aerial view from here is truly majestic, especially on a sunny day, as you can see the lake, Owakudani volcanic valley, and Mount Fuji. 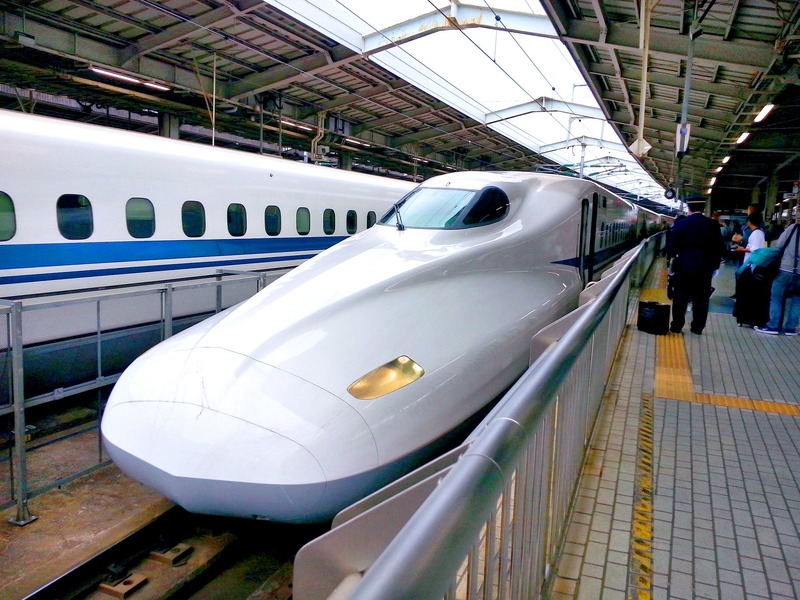 Finally, say goodbye to your local guide at Odawara Station before you get to experience the famous Japanese bullet train. You will be instructed on how to get back to your hotel in Tokyo. Pickup at select hotels in Tokyo. Meeting point: Hamamatsucho bus terminal at 9 am. Have a Western-style lunch (vegetarian menu available). Arrive at Fuji 5th Station. Board on a cruise in Lake Ashi and marvel at the pristine beauty of Mt Fuji and Hakone mountains on a good weather day. Enjoy a panoramic 360-degree view of nature from a Komagatake Ropeway ride. Say goodbye to your guide at Odawara Station and take the Shinkansen (bullet train) back to Tokyo station. The weather at Mount Fuji is unpredictable, especially during the hot season, so a clear view of the mountain is not guaranteed. Please kindly understand that a refund will not be available for such circumstances. Had a great time traveling with Yuki. She was so sweet and knowledgeable, showing us around, explained to the smallest details and took care of all our needs. Luckily, we booked this trip on a nice weather day so we could get the beautiful clear views of the mountain. Really impressed with the famous shinkansen and Japanese service industry! A great day out. You will see a lot, even better if you get a clear day like we did. It is a full day with a lot of traveling though. The view was so damn awesome! Amazing guide, beautiful places, the only thing I could wish for is full day trips to each destination on their own. Our guide gave us an abundance of history and information.